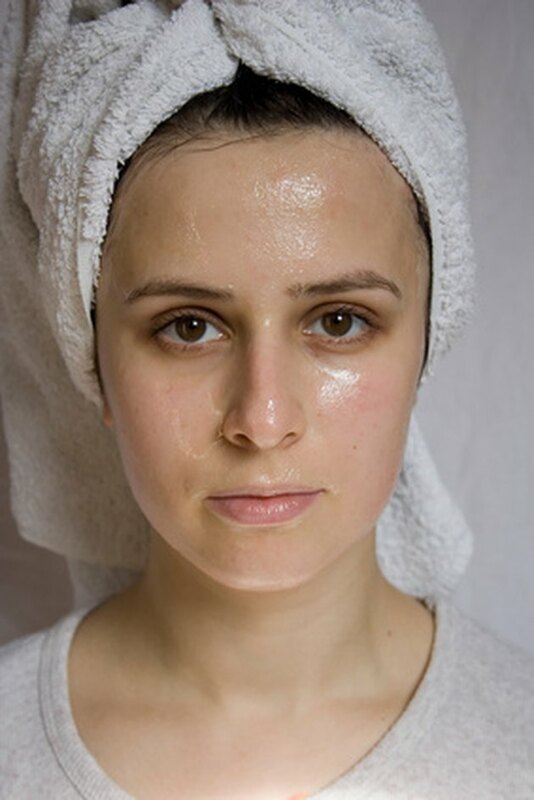 Home skin peels are a less expensive way to give your face a little extra glow. One of the most popular is the trichloroacetic acid, or TCA home peel. TCA is available in concentrations from less than 5 percent to 30 percent or more. When using a home TCA peel, stay well below the 30 percent levels to avoid accidentally damaging your skin. It is not usually necessary to neutralize TCA peels, but you should keep a solution handy in case your skin reacts badly to the peel. Put 1 cup of warm water into a clean, shallow bowl. Add 2 tsp. of baking soda and swirl or stir the solution until the baking soda has completely dissolved. Dip a clean cotton pad into the baking soda solution and squeeze out most of the excess liquid. Don't squeeze it completely dry. You are not trying to wipe away the TCA peel, just neutralize the reaction between the trichloroacetic acid and your skin by soaking it with the baking soda solution. Wipe the saturated cotton pad across your skin every where you applied the TCA peel. Discard the cotton pad when it begins to dry out; don’t dip the used pad back into the solution. Wet fresh cotton pads and use them to neutralize the TCA peel on every part of your face. Follow the instructions that came with your TCA kit as far as removing the TCA and proper after care. Always use the included TCA neutralizing solution if one comes with your kit. Never leave a TCA peel on for longer than the manufacturer recommends, as this can damage your skin.